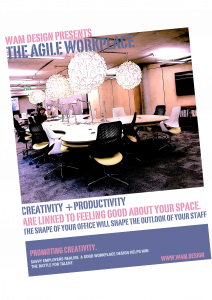 WAM are London based architects who specialise in workplace and office design. We provide a full architectural, interior and workplace design service. However, our broad experience and ability to deliver has resulted in a highly creative and diverse portfolio including residential, retail and master planning projects. Led by Stuart Martin, our maverick architect we have created some amazing spaces. Our mission is to combine the very best in creativity, functional and sustainable design, ensuring each project is carefully considered and delivered by an expert team. Our holistic approach puts people at the core of the process, whilst embracing the benefits of wellbeing and sustainability in the built environment. We understand how environments can shape our thoughts and feelings, whether we are at work, in the home or on the go. At WAM we believe in the power of good design to improve our lives and surroundings. Our London based studio has at its beating heart the eclectic, talented and ever resourceful team-WAM. Here we nurture a transparent and supportive approach to collaboration and the evolution of fresh and innovative ideas. Our culture is vibrant, friendly, hardworking and sometimes mischievous. It is this diversity that sets us apart. Stuart Martin has designed many amazing office spaces and understands how good design can positively affect a company’s performance by improving their employees’ wellbeing, motivation and engagement directly resulting in greater productivity and profit. 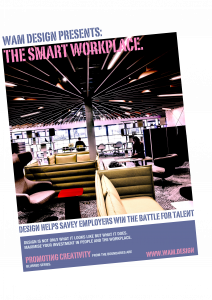 He says ‘In today’s competitive market an amazing workplace design helps win the battle for talent and increases staff retention, it will support new diverse ways of working, engage with users to increase wellbeing and productivity whilst uplifting visitor experience and client perception’. All of this can lead to increased brand value and a positive effect on your company’s financial bottom line. With our expertise and experience in workplace design Stuart and his expert team at WAM can help you maximise those returns by creating an office environment that supports your people and business to deliver performance and growth. A vision for your new office, not only what it looks like but what it does. Space-planning for expanding your team. Help you understand how to deliver your ideal workplace fit-out solution. Inspire with a vision for your space. Work with you to understand your criteria and resources as an occupier of a workplace. Learn how your staff and your clients use and interact with your workplace and identify areas for improvement. Identify where and what environmental impacts occur in the design, delivery and operation of the vision. Present to your team to help them understand how the vision is delivered. We also design amazing residential and home extension spaces and have won awards for our houses. If you would like to know more of how we can help you realize your dream house, small project or extension then please get in touch. We take as much pride and effort with our small projects as we do with the larger opportunities.